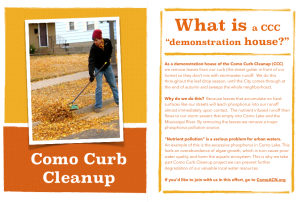 In response to requests from Como Curb Cleanup demonstration houses (DHs), we’ve developed a 1/2 page postcard that explains what a DH is, why DHs clean curbs, and invites fellow neighbors to join the effort. 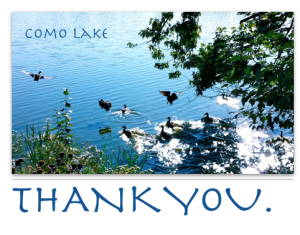 You can download the postcard to share with Como neighbors you think might be interested! We also have developed a “thank you” postcard that DHs can hang on the doorknobs of neighbors that are spotted cleaning their curbs. This too can be downloaded, printed, and clipped into 4 postcards. 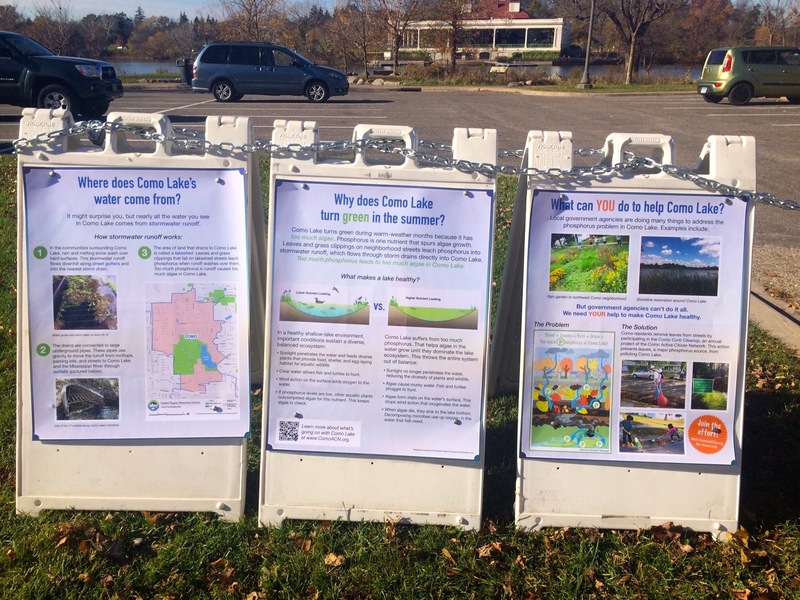 Check out the posters on display on the east side of Como Lake! Where does Como Lake’s water come from? Why does Como Lake turn green in the summer? What can YOU do to help Como Lake?